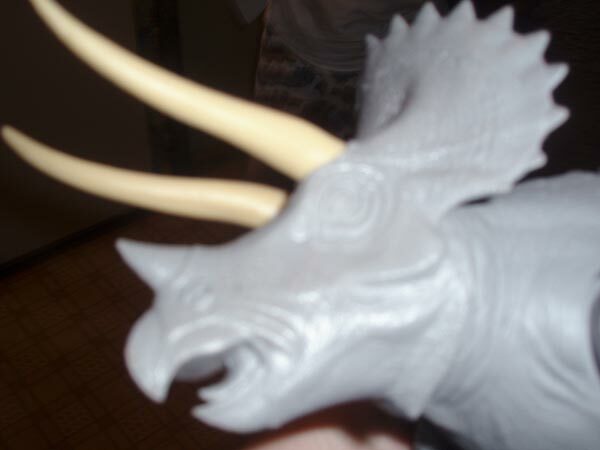 Action feature: Code name: "Trike". 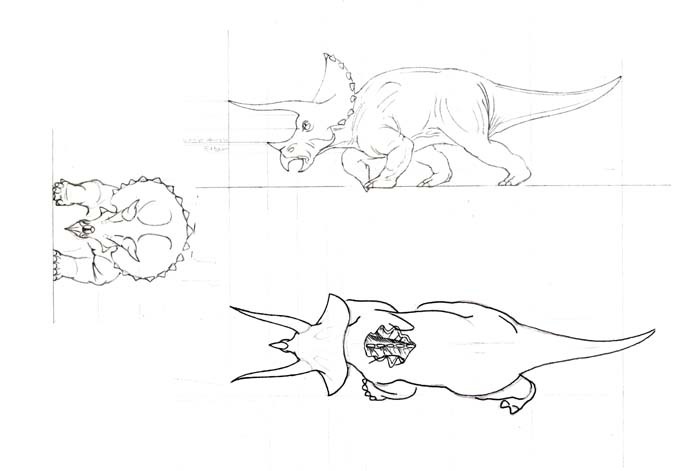 Ramming head attack. 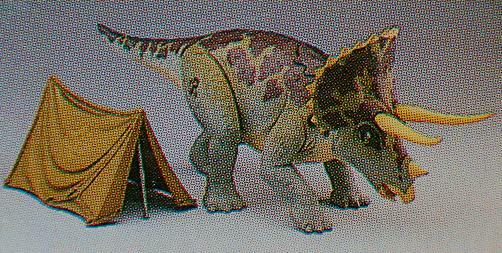 Also comes with Dino Hunter's tent and removable Dino Damage piece. Available close-up shots: Front view 1, front view 2, top view 1, top view 2, profile view, bottom view 1, bottom view 2. 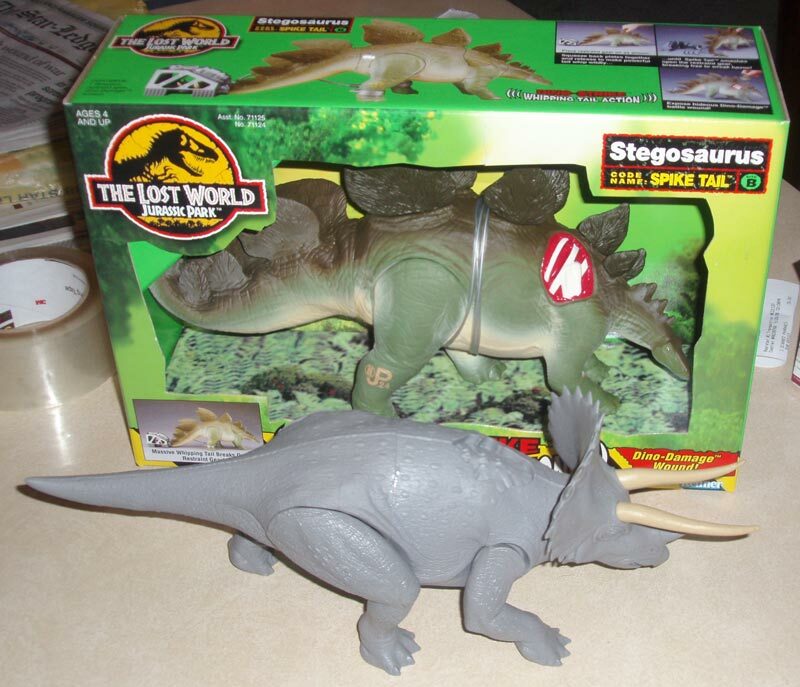 By Raptoralpha: This toy was planned to be released as part of the short-lived second series of the TLW toy line. 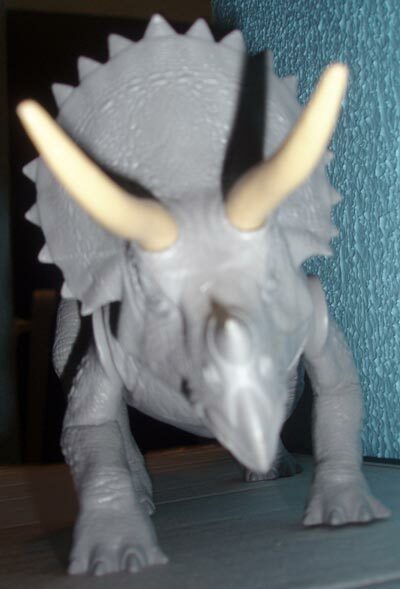 This very well-made dinosaur sadly never saw the shelves. 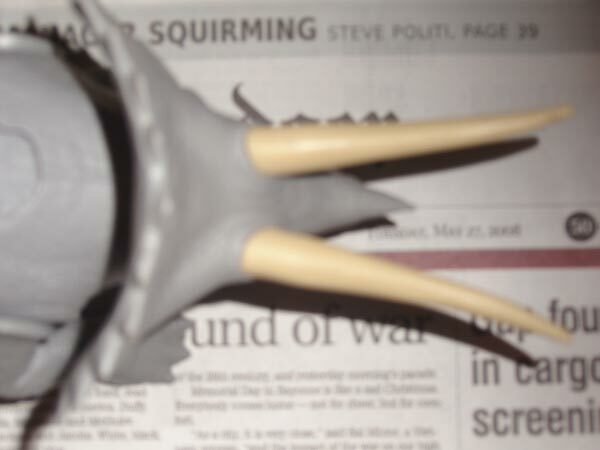 Some believe it may be because of its long horns which could be quite dangerous if little kids played with it. 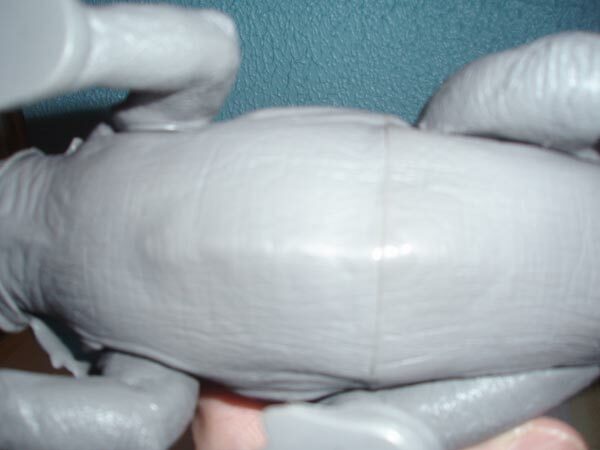 - This toy was supposed to be around 13 inches long, much bigger than what was originally thought. 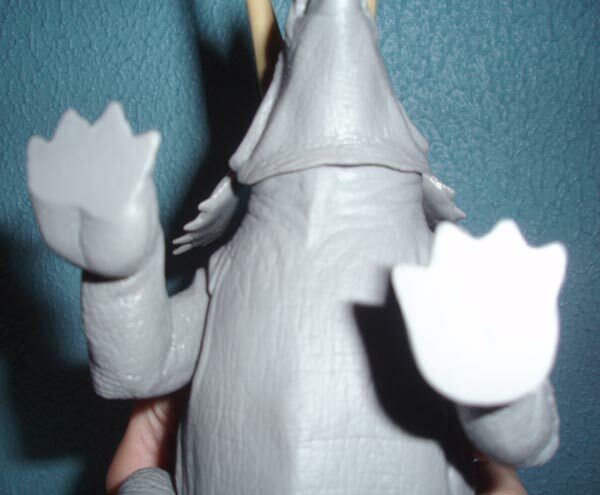 - It isn't widely known, but this toy also had a Dino-Damage feature: a small piece of skin on its back could be removed. 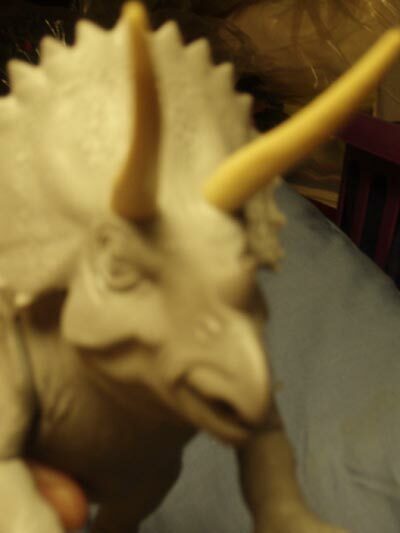 - An action feature was planned for this toy: by moving its tail, the head moved, mimicking how the head moves in the Lost World movie when the Trike is smashing Ludlow’s tent. 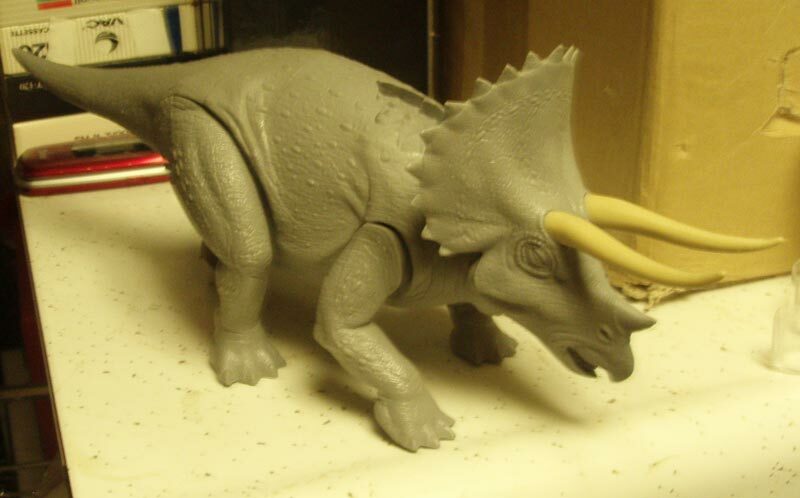 - An unpainted prototype of this toy was sold on eBay for $710 back in summer 2000. 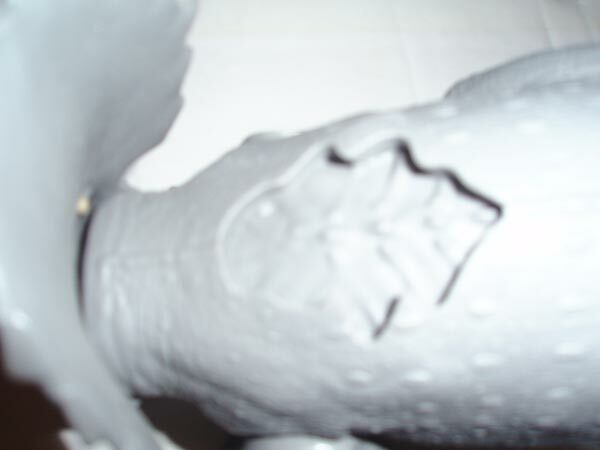 Close-ups of this prototype were made public by well-known collector Ajaythehunter.